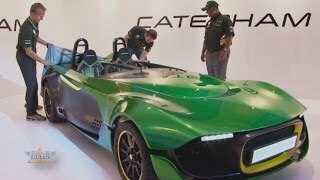 Caterham has unveiled the AeroSeven Concept car, its vision for the future of its car range, at the SingTel Singapore Grand Prix. 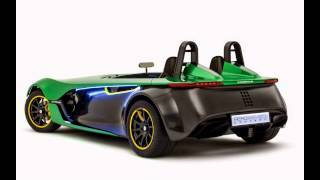 The AeroSeven Concept uses methods used by F1 team and will be the first ever Caterham model to be fitted with traction control. 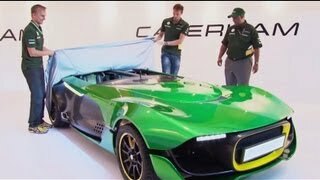 The exterior bodywork styling is different to past Caterham products. The stunning design of the two-seater balances function and form to increase downforce. The AeroSeven Concept incorporates a completely new rollover structure, to aid safety and improve aerodynamic performance and enhance aesthetics. On the interior a brand new fully active graphical display unit (GDU) integrates all display and instrumentation in a high-resolution, centrally mounted unit. Additionally, the race-inspired steering wheel incorporates ‘Road’ mode, ‘Flash-to-Pass’ and ‘Pit Lane Speed Limiter’ functions. The AeroSeven concept is powered by the 2.0-liter Ford Duratec engine producing 240ps (237bhp). The vehicle initially delivers its peak power at 8,500rpm. 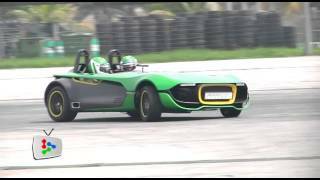 The engine – which also powers the European-homologated Caterham Seven 485 – is one of the world’s highest revving EU6-compliant engines. Drive is sent to the car’s rear wheels via a six-speed manual gearbox. 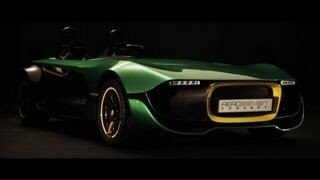 The 2013 AeroSeven Concept accelerates from 0 to 100kph in under 4 seconds.